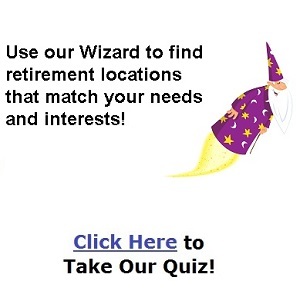 Colorado Springs is an excellent city for an active and culturally vibrant retirement. The City is at the base of Pikes Peak and is home to Garden of the Gods Park, U.S. Olympic Training Center and the U.S. Air Force Academy. The climate is mild with cool summer nights, many warm days throughout the winter and 300 days of blue skies and sunshine each year. Great healthcare infrastructure, countless museums and theaters and abundant volunteer opportunities. Colorado Springs and the Pikes Peak region has more than 55 unique attractions from mild to wild. Outdoor recreation is plentiful for any activity/fitness level. Great museums and performance venues. College sports at UCCS, Colorado College and the U.S. Air Force Academy. You'll be busier than ever if you retire in Colorado Springs! 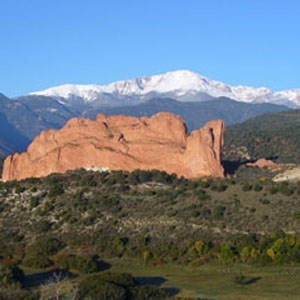 There is a wide range of cultural activities in Colorado Springs and the Pikes Peak region. Enjoy A list musicians, a vast array of art displays, numerous types of museums as well as independent films, symphony and theater. Public transportation exists, but it's best if you own a car. If the need arises, medical facilities with major hospitals are dotted across Colorado Springs. No matter the area of town you retire in, there'll be ample medical care available to you. The region is fast becoming a wellness destination, harkening back to the roots of the city's establishment. Spas, health retreats and an International Wellness Center will help foster your well-being. Jan 12.5 F° 25.8 F° 39.1 F° 0.5 "
Feb 15.5 F° 28.9 F° 42.3 F° 0.5 "
Mar 20.9 F° 34.5 F° 48.1 F° 1.4 "
Apr 28.3 F° 41.9 F° 55.5 F° 2.2 "
May 37.6 F° 51.4 F° 65.1 F° 2.6 "
Jun 46.0 F° 61.0 F° 76.0 F° 2.4 "
Jul 51.2 F° 66.1 F° 80.9 F° 3.0 "
Aug 50.0 F° 64.1 F° 78.3 F° 3.5 "
Sep 42.2 F° 56.5 F° 70.8 F° 1.3 "
Oct 31.8 F° 46.0 F° 60.3 F° 1.1 "
Nov 20.2 F° 33.5 F° 46.8 F° 0.8 "
Dec 13.6 F° 26.7 F° 39.9 F° 0.6 "
Year-round mild climate, low humidity, high altitude (can be problematic for some health conditions) and less snow that you might think! Condos Over 50 Communities Colorado Springs and the Pikes Peak region offers housing options for every type of lifestyle. Whether you've downsized to an apartment, prefer to live in a gated community, need a place for your RV, or may need specialized care, the area not only provides beautiful scenery but also communities with amenities that you're looking for. Home care Senior center Visiting nurses Services for seniors in Colorado Springs are abundant. Find new friends, classes and recreation at the active senior center. Van services are available and if needed, special services such as Meals on Wheels, elder-care facilities, visiting nurses or home care are readily at hand. The airport, Convention & Visitors Bureau and various visitor & nature centers have volunteer opportunities as well as service groups like Kiwanis and SERTOMA and area hospitals and non-profits can all benefit from your time and experience.